In this article, I will be previewing this off-season. In my opinion, we are on the cusp of one of the craziest off-seasons ever! The fun has already begun with a plethora of moves. In this article, I will be giving a slight preview of certain positions and explain just why this free agency (FA) can be one of the most unpredictable ever! It also has the potential to completely change the look of the league depending on what teams do. First let’s take a look at how this offseason has already started off with a bang, even before the new league year has begun. With about two weeks to go until the new league year, three trades are already in the books. The first move that everyone expected to come was Alex Smith being traded, but few expected it to happen so quickly and to the Redskins of all teams. This trade ensured Kirk Cousins becoming a free agent & potentially the highest paid quarterback/player ever. The two other trades that took place this offseason both involved the Rams. The Rams first acquired cornerback Marcus Peters from the Chiefs, followed by sending Robert Quinn to the Dolphins a few days later. On top of these trades, several well-known names have already been released like M. Wilkerson (DE), R. Parker (FS), K. Coleman (FS), J. Stewart (RB), & C. Johnson (DE). Along with these transactions, Vontae Davis (CB) signed with Bills all but guaranteeing E.J. Gaines (CB) is a FA. Also, Kurt Coleman already found a new home just days after his release signing with the New Orleans Saints keeping him in the NFC South. We will start off with what most consider the, be all end all position on any NFL team, the quarterback (QB) position. With free agency less than two weeks away, you have many “starting” QBs set to be available, which is an anomaly in of its self. In addition to the five QB’s available via free agency, there are also 4 to 6 first round talents available in this upcoming draft. Now obviously we won’t have 9-11 new starting QB’s next year, so who will be left out? Will it be a veteran with injury concerns like Sam Bradford? 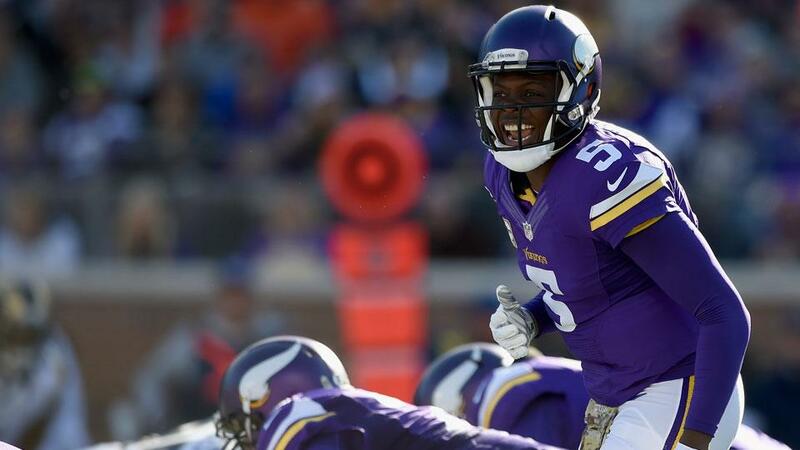 Will it be a QB coming off an injury such as Teddy Bridgewater? Will it be a QB with limited starts who has shown promise such as Case Keenum or A.J. McCarron? Or is it possible all of these veterans get starting jobs driving the value of these upcoming rookies down? The next position I would like to preview is the tight end (TE), which is also extremely deep compared to years past. Going into FA, you have 5-8 TE’s who can offer a substantial upgrade to teams as the receiving TE. There are also 2-5 TE’s projected to go in the first three rounds. Once again, this is rare! I can’t remember an offseason with so much potential available via Free Agency and the draft. This causes a lot of uncertainty as to what will happen. Will a team go and pay top dollar for an up and coming TE like Trey Burton who has been playing behind one of the game’s elites in Zach Ertz? 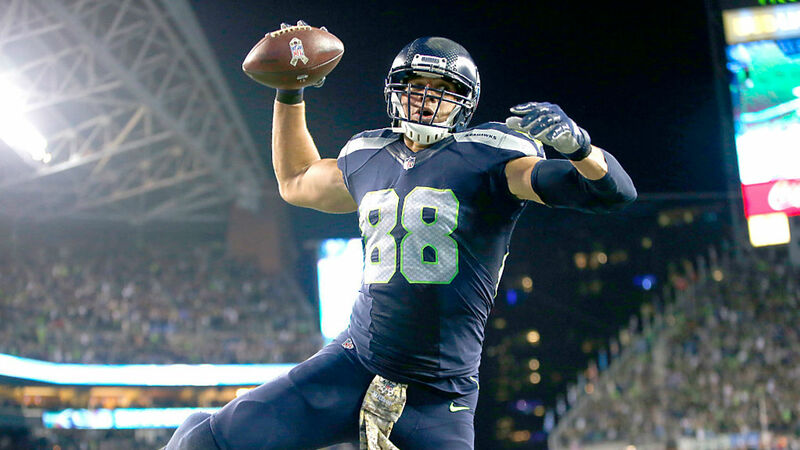 Will someone overpay for the name Jimmy Graham? You also have TEs with character or injury concerns like Austin Seferian-Jenkins, and Tyler Eifert. Others that are available are Cameron Brate who has shown growth, Ed Dickson who has spent his career behind top-line TE’s in Todd Heap, before injuries, and Greg Olsen. You also have the option of perusing a top TE from previous draft Crockett Gillmore who has been on a struggling Ravens offense loaded with multiple TE’s, as well as battling his own injuries. Finally, a team could choose to pursue a player like Luke Wilson who was behind Jimmy Graham. When you add all these TEs up along with this upcoming draft it’s anyone’s guess, who ends up where and what value the these NFL prospects hold in the 2018 draft. The final position I will look at that adds much confusion to the offseason is cornerback (CB). Once again, this is one of the deepest FA classes in recent memory, for both outside & nickel/slot corner. 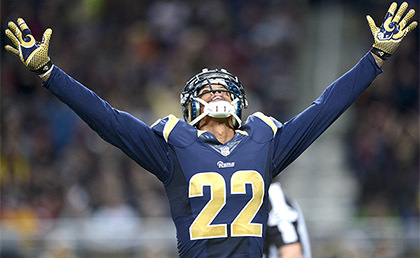 There are two premier names as #1 corner locks in Malcolm Butler and Trumaine Johnson. Beyond your two premier names, there isn’t much of a drop off to your next group of corners. Players such as E.J Gaines, Kyle Fuller, Darqueze Dennard, Bashaud Breeland, and Aaron Colvin, are players that have had ups and downs like most young players. Some have only been nickel corners to this point. Beyond this group, there is a third tier of corners Rashaan Melvin, Ross Cockrell, and Morris Claiborne who have shown flashes. These players have been on teams with poor supporting casts or have limited starting experience making it hard to get a read on the player’s true ability. On top of all these cornerbacks, you have players who excel in the nickel role such as Nickell Robey-Coleman, Bryce Callahan, Patrick Robinson, and Justin Coleman. Beyond this long list of FA CB’s, there are 5-8 CB’s expected to go in the 1st two rounds. Now if that wasn’t enough talent to make it unpredictable, you also have the potential and rumors of Richard Sherman and Aqib Talib being available for trade. 2018 is going to be a wild offseason, where anything can happen. This year’s free agency period and draft has the potential of changing the entire NFL landscape. Stay tuned for my future articles where I attempt to predict and give my opinion on at least one move every team should make this off-season involving free agents, cuts, and trades. Including letting high caliber players walk like Allen Robinson.